December was the month chosen by Antonio Orozco to take a break from his intense tour and recordings of the talent show The Voice. 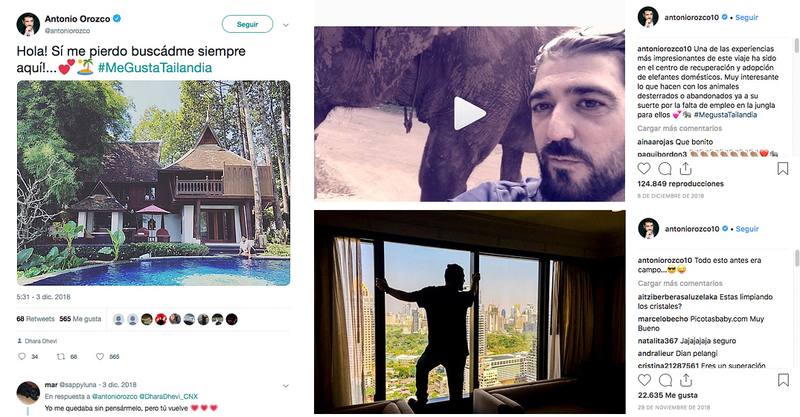 The Blueroom Project, as official representatives in Spain of the Tourism Authority of Thailand (TAT) managed those days of rest in the Asian country. 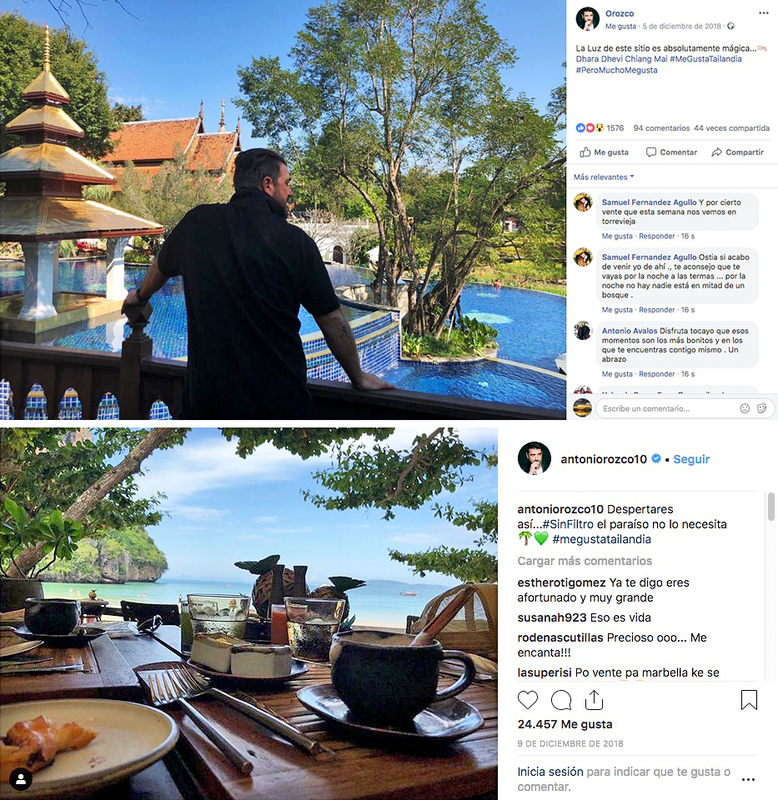 The famous The Voice’s coach had the opportunity to experience the bustle and relax in Bangkok, followed by the nature that surrounds Chiang Mai to end up on the paradisiacal beaches of Krabi. All this straightened out with unique experiences such as feeding elephants, learning Thai cuisine or strolling through the canals of the capital on a long tail boat. The singer, delighted with the trip, shared his vacation in Thailand. A total of 15 posts on Facebook, 14 tweets, as well as 10 photos and 9 stories on Instagram, achieving a total reach of more than 46M, 1.1M of views of their stories and videos, 200,000 likes and 4,000 comments.